Peri: Come on, come on, come on! Peri: Finally! I’ve been calling for ages. Themis: I’ve only been on the phone for the last fifteen minutes. You must have started calling me within that time frame. I’d hardly call that “ages”. Peri: It was a hyperbole! Themis: The devil’s in the details Peri. Peri: Fine. Whatever. I need you to get to Wonderland immediately. Themis: What has that disgraceful excuse of a government done now? Peri: Tristan stepped on a mome rath. Peri: Yes! And I distinctly heard “off with his head”. Themis, do you think they’ll actually do that? He’s only a kid! Themis: That doesn’t matter to that vile dictator, the Queen of Hearts. She would easily end his life if he so much as came into her court wearing shoes the same color as her hat. Peri: But you can save him right? Themis: In the morning, the sun would rise on little crumpled up paper balls of former monarchs, placed high upon a full wastepaper basket for the entire kingdom to see, so that all may know the fate of oppressors. Peri: Right, because that always works out so well. Themis: I’ll be there as fast as inhumanly possible, Peri. Peri: Is there anything I can do? Themis: Ask Athena for guidance. Peri: So do I email her…? Saffron: Tell me the good news, Per. Peri: I called Themis, she’s on her way. Themis: Out of my way, I demand to see my client. If you touched so much as one hair on his head, I’ll have you all skew- uh, sued - within an inch of your lives. Saffron: (impressed) That is one fast lawyer. Say Per, do I have to stick around for all of this? I’ve still got that assignment I need to take care of and to be honest, this dungeon is kind of bummer. Peri: Saffron, you are not leaving Tristan alone. Saffron: But he’s fine! Themis will take care of everything like she always does. Tristan just has to chill until she works her lawyer legal magic, and in the meantime he looks so cozy in his little jail cell. Saffron: And the guards keep bringing him tea every five minutes, then snatching it out of his hands almost immediately afterwards. Peri: What a strange and interesting customs they have in Wonderland. But still no. Stick with Tristan. Peri: Call if you need anything. Bye. Vasilisa: Yes, I’ll be needing - Wait, did you say Peri? Peri: Vasilia? Why are you calling me. Vasilisa: You’re Magic Support. I, unfortunately, am in of need support. Peri: This line is not for Academy faculty! (does Holle voice) “And if you need anything dear, just call the Magic Support Line. It used to be for fairy godparents only, but lately I heard it’s expanding it’s services to just about anybody”. Peri: Yeah, that sounds like her. Vasilisa: Look, maybe you and I don't exactly, *ahem* feel warmly towards each other, but we can still act professionally. Peri: I don’t know how professional it is to hire a super villain teacher. Vasilisa: I take my new position very seriously and I’m trying to do a good job. I just want to know how I can get to the library so I can do said job. Peri: There are reflective surfaces all over that library, and the magic mirrors WILL tell me if you look up anything suspicious. Peri: And some of the books can talk and they all have my number! Peri: Fine. Northwest wing. Main entrance is on the ground floor, past all those gargoyles in the reading glasses. Vasilisa: No, I know where it is. I want to know how to get in! Vasilisa: The door keeps shuffling away whenever I try to get in. How do I corner the freaking door? Peri: That’s weird. I don’t think I’ve had that happen before. Usually Master Librarian Kyorinrin is welcoming to all knowledge seekers regardless of moral alignment. Vasilisa: So what do I do? Peri: I have no idea. Maybe there’s a book in the library that can help you. Peri: Hi Saff. Can you believe Professor Holle gave my office number to Vasilisa? Peri: She said that Magic Support is (does bad Holle voice) “expanding it’s services to just about anybody”. What’s that supposed to mean? Saffron: It means that she’s an snooty grouch, that’s what! Peri: She’s not even the first random person to call lately. Do you think I’m going to get more calls like that? Saffron: Knowing Professor Holle? She probably spread your phone number like confetti at a fairy parade. And we fairies love to party. Card Guard Spade: Uh, Miss Saffron? Saffron: (to Spade) Hold on. (To Peri) And listen Peri, you don’t have to answer any calls that don’t come from actual bonafide fairy godparents. There’s such a thing as too nice. Card Guard Spade: MISS SAFFRON. Saffron: (to Spade) Uh, excuse me? Can’t you see I’m on the phone? (to Peri) Oh my gosh Per, these people are so rude. Peri: Saff, that sounded a lot like Card Guard Spade. 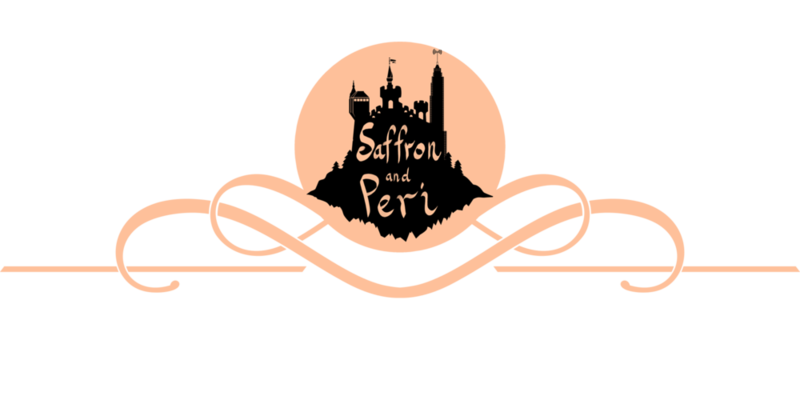 Saffron: (to Peri) Uh-huh. Hold on a sec. (to Spade) Alright Spade, you have my attention. Eager eye and willing ear. Card Guard Spade: Bailiff Bun Buns, bring the book. Saffron: Is this a math textbook? Card Guard Spade: Do you swear that you’re testimony A is a subset of the truth B, but that A is not a proper subset of B, and that there exists no element in A that is not present in B? Card Guard Spade: Miss Saffron, will you please state your name and occupation for the record? Saffron: I’m Saffron, fairy godparent extraordinaire. Granter of dreams, Saver of days, and all round fantastic person to hang out with. Peri: Saff, are you on the witness stand right now? Card Guard Spade: *Ahem* Where were you when the … *inhales* horrific incident took place? Saffron: (annoyed) I don’t know, like... a few feet away? Card Guard Spade: So you witnessed the diabolical crime first hand? Themis: Objection! The prosecutor is already assuming that a crime did in fact take place. Judge Queen of Hearts: Overruled. Themis: Your Honorable Majesty, Judge Queen of Hearts, we are in Wonderland, which is underground. So if you overrule on an already under-rule, then all you’re left with is a rule. Judge Queen of Hearts: (approvingly) Sustained. Themis: Pardon me Card Guard Spade, my fist slipped. Saffron, tell us exactly what happened. Saffron: Alright, sure. Let me just hang up. Saffron: Alright little miss eavesdropper. So I was talking to Peri on the phone. Themis: While walking along mome rath forest? Themis: (confused) So you weren’t even in mome rath forest? Saffron: No I was. I meant I was flying not walking. Today isn’t leg day. *scoffs* So anyway, I was hovering along gracefully while chatting to my best friend and valued colleague, Peri. Then I heard this squeak behind me. Themis: So you didn’t actually see anything. Themis: You see your honorable majesty, there were no witnesses and therefore all evidence is circumstantial. Card Guard Spade: The boy admitted to the crime. Themis: He did not. Bailiff Bun Buns, the transcript if you please. All he said was “I’m so, so sorry” wherein he was simply expressing his regret over the terrible squashed state of the mome rath. Card Guard Spade: Give me that! Themis: Which places his foot out of the range of his eyes, meaning that he too, is not a credible witness. Saffron: I said “IF”. If you ask me, the little screw-up just talked out of turn and confused this poor Card Guard. But it’s just what I have to deal with mentoring this little trouble-maker. If he just shut up and followed my lead, I’m sure Card Guard Spade would have realized our innocence immediately, but noooope, he had to open his big mouth. But despite the big mouth, Tristan is a good kid with a good head that he deserves to keep. He just has a discipline problem, but that’s Peri’s fault, really. Her mentoring style is too passive. Themis: No further questions your honor. Peri: I am not too passive! Saffron: Then why’d you help Vasilisa when it’s not even your job? Peri: I didn’t! I slammed the phone in her face. Saffron: You did? You go girl! Let’s go celebrate with tarts! Card Guard Spade: I’m afraid you’ll have to remain here until the beheading Miss Saffron. Themis: ARGH. I wish Bailiff Bun Buns hadn’t replaced my sword with this flamingo. Card Guard Spade: You’ll be receiving your sword back after the beheading. Queen of Hearts: Court is adjourned. We shall resume at brillig. Saffron: Can I get off this little balcony now? Peri, I’ll call you back okay? I got to make sure Themis doesn’t tear up any of the prosecution. Saffron: If this is paparazzi asking about today’s trial, I only have time for one question. Maybe more if you spell my name right. Scoodie: Yes! Papa Rizzie. You did so nicely at box. So nice! Saffron: Thanks, I’ve always been known for my grace under fire. Satchet: Scoodie, that wrong word! Scoodie: SHUSH YOU! *ahem* Nice talky today. Did you practice? Saffron: Practice my testimony? Tristan was only arrested this morning! Scoodie: So how did you know what things to word? Saffron: Oh, just winged it. I’m great at improv! Scoodie: See, Told ya I could do it! Smock: *hurumph* Close phone Scoodie, we done! Saffron: That’s Saffron with two f’s. If I see any ph nonsense, I’m coming for you. Scoodie: Yeah, yeah, S, A, double *ffff*, RON. Bye pretty fairy! Saffron: *pshht* Journalism these days!